Solvay’s strategic journey has a constant focus: a step-by-step trans- formation towards unleashing potential. First, an in-depth overhaul of our portfolio that made us an advanced materials and specialty chemicals group. Next, a reshaped organization and culture to focus firmly on our customers. Now, a strong position to continue our journey, delivering on growth as we travel. In 2012, we began a strategic journey to comprehensively redefine our business model. We transformed our portfolio and, in doing so, transformed Solvay. We moved from being a commodity chemicals company to become an advanced materials and specialty chemicals group. We are a solutions provider and have refocused our business on high-growth markets that now account for the majority of our sales, and many new names stand out among our top customers. Our business transformation has allowed us to generate substantial synergies. We have moved away from a largely diversified portfolio, reliant on cyclical markets, to a focused portfolio of highly specialized products and solutions that are tailor-made to solve our customers’ challenges. This means we are creating more value for our customers and for Solvay. Sustainability is central to our business, our ambition and our strategy. Far-reaching sustainability targets, and our Integrated Thinking approach, Sustainable Portfolio Management tool and Solvay Way program embed sustainability in all of our decision-making, from innovation to investment projects. As a result, it is now a key driver of our business growth. 2018 was decisive in simplifying and streamlining our organization and processes to make Solvay more agile, more outward-looking, with a sharper focus on our customers’ needs across the Group, from the Board to the shop floor. Solvay builds on its ability to understand its customers and forge long-lasting relationships to co-create innovative solutions that meet their challenges. We also began an in-depth cultural transformation to support growth and unlock our potential. By introducing new working practices and encouraging three behaviors – I trust, I take smart risks, I focus on customer needs – we aim to take customer-focus and collaboration ever further, empower our people and accelerate innovation in 2019 and beyond. We are seizing the opportunities of digitalization to build on the excellence that has always been one of Solvay’s features, enhance employee experience, support us as we transform our culture, and bring innovation to our industrial processes. Innovating, working together, acting sustainably for society, being open and connected with the world – this is the spirit guiding the transformation of Solvay and the reinvention of the 22-hectare site which has housed many of its activities since 1953. The site will be dedicated to high-technology innovations in chemistry and advanced materials. From there, Solvay’s mission is to grow its own Research & Innovation activities, as well as those with its partners: startups, universities and research institutions creating solutions for a rapidly advancing society. Today and tomorrow, Solvay is committed to maximizing organic growth. Unflagging customer focus and sustainable innovation will be its dual drivers, supported by our new culture and our committed people. We aim to be the lead provider of sustainable solutions for our customers. We have confirmed our 2025 extra-financial targets. Regarding GHG, we switched to a commitment in absolute terms, aiming at reducing our emissions by 1 million tons. We will innovate faster by embedding new, collaborative ways of working and leveraging internal and external connections. Innovation is a key enabler of customer-intimacy and we will step up collaboration with customers at our 21 major research centers. In Brussels, we have decided to build a unique Advanced Material Science Applications Center, where we will co-develop with our customers, designing and testing prototypes, mainly in the aerospace and automotive industries. 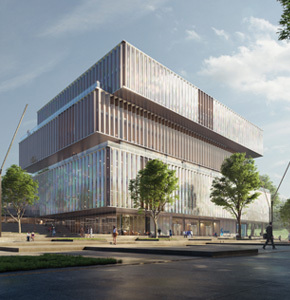 With 1,000 scientists and engineers, our new Research & Innovation Center in Lyon will be world-class and Solvay’s largest. Its digital expertise will accelerate and enhance the quality of our research. We will continue to ensure all our innovation projects meet sustainability targets, leveraging our SPM methodology. We will also champion collaborative innovation to accelerate the transition to a Cicular Economy, an increasingly strategic priority for customers. We drive customer-intimacy right across the Group, investing in and training our frontline teams, ensuring researchers and marketing colleagues work together to develop solutions that create value for the customer. We are developing feedback programs between our frontline teams and our customers, to drive continuous imrovement, changes in behaviors and differentiation for priority accounts. Our new integrated Excellence Center will also coordinate all our key competencies and support GBUs in getting the best from our assets. Our Sustainable Portfolio Management (SPM) analysis tool allows us to engage with customers on the sustainability profile of value chains, and to initiate discussions on the transition to a Circular Economy. We will continue to ensure our talents make the difference to the quality of our projects. We empower them by supporting an entrepreneurial and collaborative mindset. As increasing the diversity of our teams is a priority, we are seeking out the profiles that will continue to drive innovation and building the skills that our growth businesses need. Composed of both change agents and specialists, the Excellence Center will also act as a talent incubator to spread the excellence culture across the Group. May 2018 saw the launch in Europe of a pilot program on entrepreneurial leadership for Solvay’s “Leaders of the Future”. 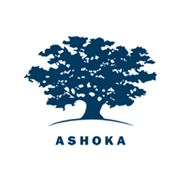 The pilot, developed in partnership with Ashoka, one of the world’s top 10 most influential NGOs, invited five Solvay Talents to work with five Ashoka Fellows Social Entrepreneurs. The Talents said the program helped them to be responsible, effective leaders and create an entrepreneurial mindset. Building on the first pilot, a second one was launched in North America in November 2018 for six Solvay Talents. Solvay has also been awarded the LinkedIn Talent Awards 2018 – Best Employer Brand in recognition of its communication strategy to attract talents worldwide.